Everyone knows there are a number of casino tips and tricks to help gamblers gain a fighting chance at winning against the house. Blackjack players are able to learn basic strategy using tables; poker players master the art of bluffing. Even good roulette players have a few tips that help them win. But what about slots – they’re random, right? Well, yes, they are. But believe it or not, there are real ways to increase your chances of winning at the slot machines. 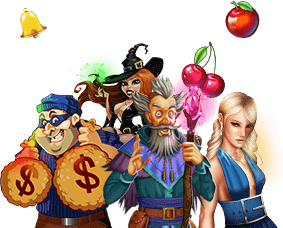 Check our top tips and trick how to beat casino slots! Slot machines run on random number generators, which are computer programs certified by a regulatory authority. The programs control where individual reels stop with every spin – so each spin is separate and totally independent from any other, which means it’s completely random. The previous spins have no outcome on the next spin. We know it kind of sounds hopeless to figure out a strategy, but there are ways to help you increase your bankroll, and we’ve listed them here so you can start winning big today. If you’ve been sitting at a machine for a while and you can’t remember the last you had a winning spin, don’t wait around for things to hopefully swing back around. It’s time to move on to another machine. The same goes for online slots games – if it’s been a while since your last win, you should probably move on to the next game. Major casinos don’t place loose machines close to each other, and online casinos follow the same rule. Your best option when you’re losing is to save your money for the next game in line, which increases your chances of finding a loose machine or online game and give you more playing time. It’s pretty obvious tip, but just in case you need to hear it again: a loose slot is your best friend. They’re harder to find, but they’re worth looking for. In large casinos, loose machines are placed strategically – they’re usually located in highly visible areas so big wins are seen by many people, encouraging spectators to play. However, visibility isn’t always a good thing. 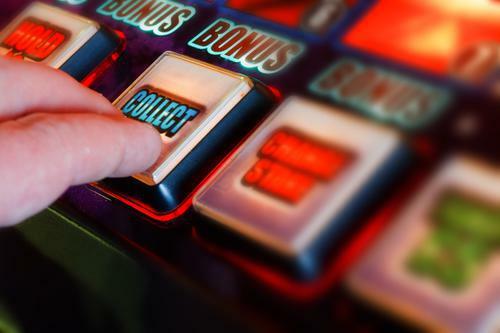 Slot machines located in places with high visibility but constantly shifting traffic – namely airports and reception areas in restaurants – are some of the worst to play at. It’s better to wait until you’re in the casino, no matter how eager you are when you get off the plane. The perfect spot to play slots is in a visible, slow-moving area with a great number of machines to move among during cold streaks. Online slots are the same – loose games aren’t placed next to each other, so you should move amongst them to find one that’s working for you. Progressive jackpots are recommended by some gamblers, while others say to avoid them at all costs. The latter group says everything that looks that good always comes with a catch. While the ludicrous amounts of cash on offer are enticing, the potential for big rewards is coupled with low payouts – that sum of money has to be built up somehow, and it isn’t done by being generous with payouts. The second group says that playing the progressive jackpot is the only way to win millionaire money playing slots. The odds of winning a jackpot are similar to those of winning the lottery, but that’s the fun part, right? If you can control your bankroll and your playing pace, the progressive jackpot offers a slim chance of walking out of the casino with money lining your pockets and then some. Our tips and tricks to progressive jackpot slot machines? Go for whatever works for you. If you want to play for kicks and are more than happy with winnings that are a little less than extraordinary, don’t go with the progressive jackpot. If you’re looking for a chance to have fun and shoot for your dreams of buying a yacht in the Caribbean, then go right ahead. Slots of Vegas offers a no download, instant play feature that gives players the opportunity to try out over 80 slots games along with table games, video poker, and specialty games completely free. Head over to the Instant Play section at Slots of Vegas and put our slots tips to the test today!